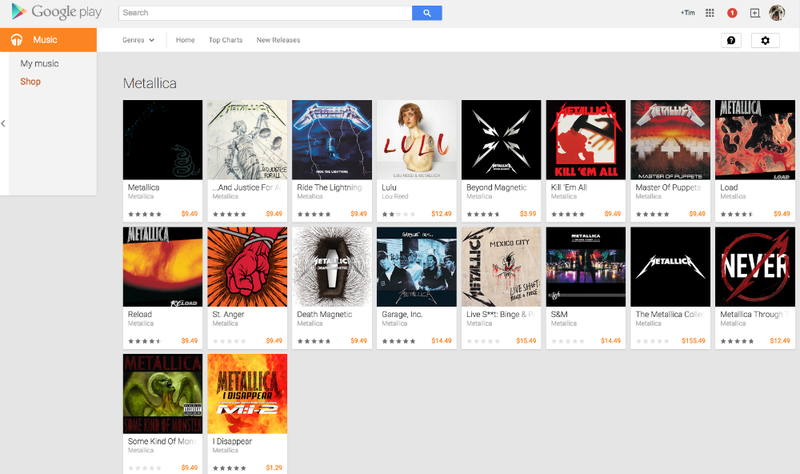 As a quick note to any diehard Metallica fans we may have here, the band’s entire discography is now live on Google Play. After having zero presence on Google’s servers, with thanks likely to strict distribution agreements, headbangers can now get down to some all-time classic Master of Puppets jams. From taking a quick look, all of the great material is there, including Ride the Lightning, Kill ‘Em All, Black Album, …And(roid) Justice for All, and unfortunately, even St. Anger is available. Google Play Music subscribers can start streaming all of it, so if you are signed up, go grab it. If not, the albums are available for purchase at $9.49 a pop as well.